Tom Seger is a full-service employee relations lawyer who negotiates collective bargaining agreements, handles union organizational drives, develops Affirmative Action programs, and litigates National Labor Relations Board (NLRB) employment discrimination, Boys Markets injunctions, Sarbanes-Oxley whistleblower claims, covenants not to compete and labor arbitration cases. 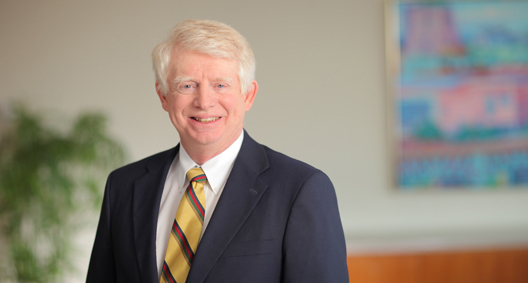 Tom is listed in The Best Lawyers in America© in the areas of Employment Law – Management and Labor Law – Management. Has extensive compliance experience with the Office of Federal Contracts Compliance Program (OFCCP) requirements promulgated by the Department of Labor. Prepares Affirmative Action plans and counsels organizations through OFCCP compliance audits, addressing issues including adverse impact testing of hiring, promotion and termination data, and compliance with OFCCP compensation-related requirements. Has handled collective bargaining negotiations in innumerable industries as well as protestations for private- and public-sector employers. Has handled union organizational drives in the newspaper, television, intermodal transportation and ambulance service industries, and in hospitals and long-term-care facilities. Has negotiated collective bargaining agreements and tried arbitrations involving subcontracting, plant closure and relocation, and other issues in the manufacturing and service industry sectors of the economy. Handled a 25-day NLRB trial concerning the stevedoring industry in Toledo, Ohio.